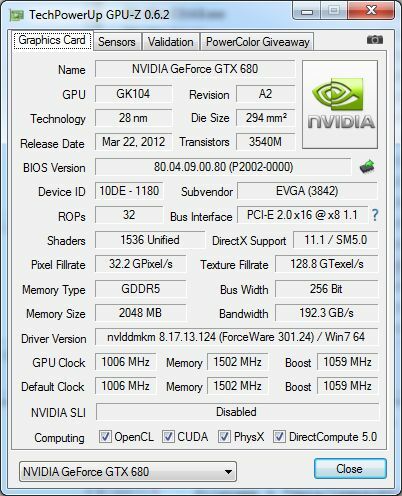 The new version of GPU-Z is out with GeForce GTX 690 support as well as other new GeForce (GTX 670, GT 640, GT 630). Nice update J. If possible, can you please communicate with/inform your peers/guys at techpowerup that GPU-Z is not displaying “Name” correctly as “HD2000” but rather Intel HD Graphics (GPU: GT1). Even though the Device ID (HWID) for HD2000 is correct, 8086-0102. Also memory size is still unavailable, even after they put in changelog of GPU-Z v0.6.1 that intel SNB & IVB IGPs are now full supported. If CPU-Z can show the memory size, why can’t GPU-Z?